Mention snorkeling, and your thoughts may immediately go to more tropical destinations. 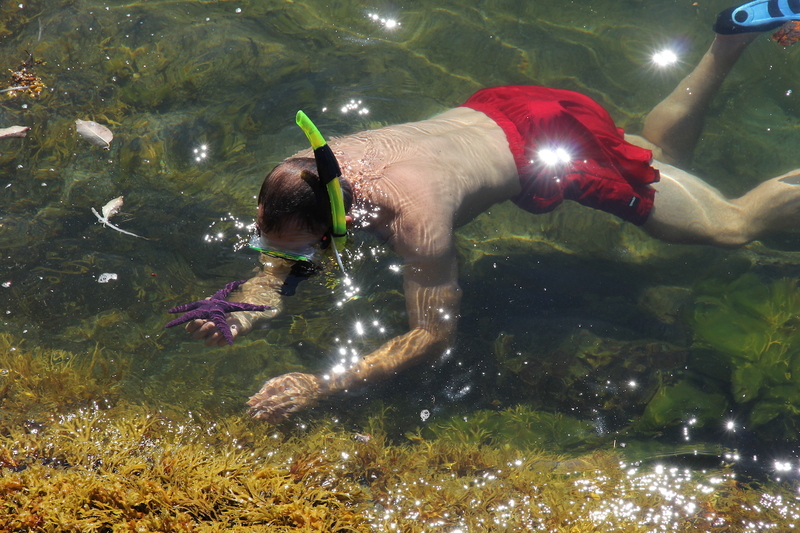 Yet with water temperatures reaching up to 25 degrees celsius (75 degrees Fahrenheit) snorkeling in Desolation Sound is often a tropical-like’ highlight for many of our guests. Meanwhile, the prolific marine wildlife encountered below the surface is colourful and diverse. In fact Jacques Costeau – famous diver and explorer – considered the diving in these parts to be second in the world only to the Red Sea! We provide shorty wetsuits, masks and snorkels for all our Cabana guests to enjoy during their stay. A gradual yet consistent current flows past the rocky points of Kinghorn Island and around the smaller islands just offshore. This provides nutrients to a wide variety of marine wildlife, from sea stars and sea cucumbers to urchins and anemones. Wander down the boardwalk, grab a shorty wetsuit from the rack and launch into the ocean right off the point and experience this underwater world. Other options include taking a kayak or stand-up paddle board over to Station Island just off the point of Cabana Desolation at low tide to snorkel in a great area of intertidal life. Slightly further afield, the south western shore line of Kinghorn Island is a veritable aquarium. 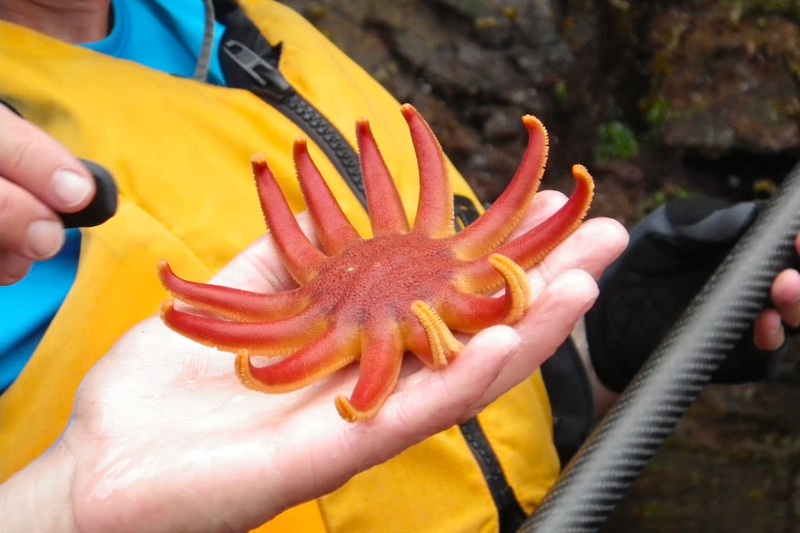 Sea stars, cucumbers, and giant plumose anemones cling for dear life to the rocky coast. ‘Snorkel with the Stars!’ with Powell River Sea Kayak has been chosen by the Canadian Tourism Commission as a Canadian Signature Experience. 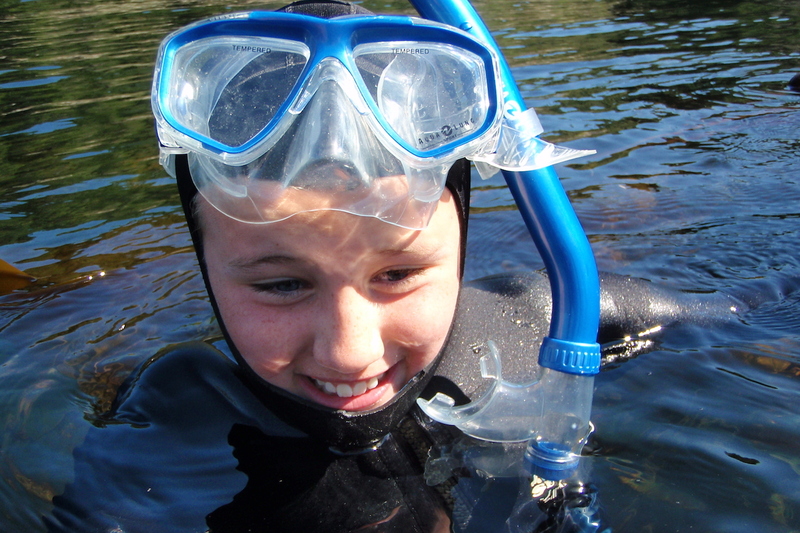 Wherever you go in Desolation Sound, snorkeling in the warmest water on the BC coast will be a memorable experience. For an overall understanding of the snorkeling in this region, check out our ‘Snorkeling with the Stars’ page on the Powell River Sea Kayak website.